Definition at line 366 of file ConstructionContext.h. Definition at line 370 of file ConstructionContext.h. 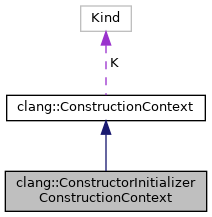 Definition at line 380 of file ConstructionContext.h. Definition at line 378 of file ConstructionContext.h.